In a year where perennial GP2 Series powerhouse DAMS abandoned the model of going for experienced drivers and instead picked up young stars Pierre Gasly and Alex Lynn of the Red Bull Junior Team, and Stoffel Vandoorne, last year’s vice-champion, will stay at ART Grand Prix where he nearly became the first rookie champion of the series in a half-decade the last time out, it made sense for Raffaele Marciello, the top prospect of the Ferrari Driver Academy, to stay for a second season at Spanish squad Racing Engineering, a team that has won two GP2 Series Drivers’ Championships in ten seasons, the team for which Marciello won the feature race at Spa-Francorchamps and qualified in the top ten for all eleven feature races – the only driver in the field to do so. Hell, it was already confirmed by Sky Sports on the day Marciello was announced as Sauber’s test driver! In 1999, Eddie Irvine and Heinz-Harald Frentzen were second and third in the Formula 1 World Championship, posting career-best seasons they would never come close to replicating in their remaining careers. Ralf Schumacher carried an in-flux Williams organization to fifth in the World Constructors’ Championship by himself at age 23. Pedro de la Rosa scored a point on his F1 debut for a woeful Arrows squad. And Mika Salo got the F1 chance of a lifetime as Michael Schumacher’s injury substitute at Ferrari. Not a single one of these drivers graduated to Formula 1 via the International Formula 3000 Championship, though. All of them were products of the Japanese Formula 3000 Championship, and its successor from 1996, the Formula Nippon championship. A series that ran on only one Formula 1 circuit (Suzuka) as opposed to the small handful of circuits International F3000 shared with Formula 1. Fifteen years later, the series that currently exists as Super Formula is making small steps towards regaining that relevance as a genuine F1 feeder series. Very small steps, though. Andre Lotterer’s Formula 1 appearance at the Belgian Grand Prix ended the same way the last noteworthy German F1 driver debuting at Spa in a green car’s outing did – a quiet mechanical failure and a DNF on Lap 2. In terms of intra-team performance, however, Lotterer outqualified teammate Marcus Ericsson – who, like Lotterer, has won championships in Japan with the TOM’s organization – by almost a full second in the wet conditions. This has raised questions as to whether or not Ericsson is a worthy F1 talent, but do give credit to Lotterer, one of the greatest active drivers in all of motorsport, for performing as admirably as can be under the circumstances and proving that he is Formula 1 material, even if his heart lies squarely in Le Mans. Caterham were rumored to be eyeballing another TOM’s driver to appear in Free Practice 1 at the Japanese Grand Prix in October, only this time it was 24-year-old Andrea Caldarelli. 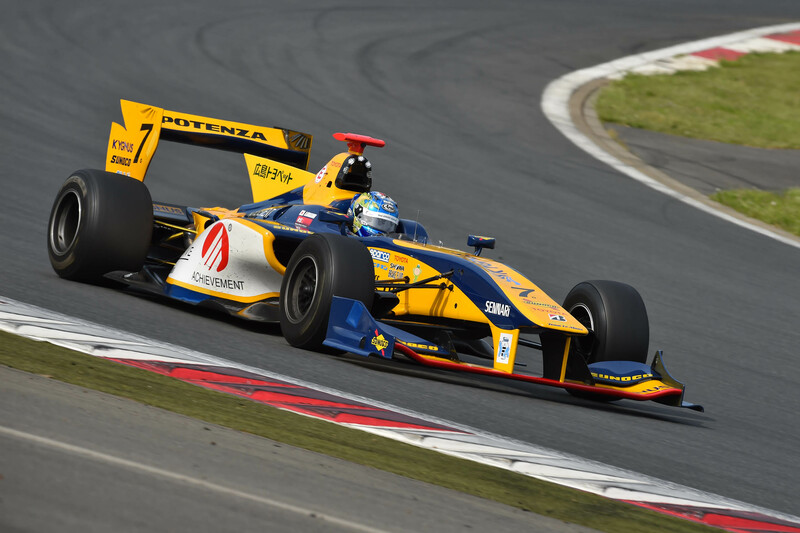 Caldarelli has substituted for both Lotterer and his Audi teammate Loic Duval in Super Formula this year. He has previously tested for both Ferrari and Toyota’s F1 teams, and he currently sits 2nd in the GT500 standings in Super GT with a chance to become the youngest ever champion in the class. It is his commitment to the Super GT title fight that ultimately led him to turn down Caterham’s offer, and instead race in Thailand that weekend as the series heads to the new Chang International Circuit in Buriram for the penultimate round of the 2014 championship. Lotterer became the first driver since former Super Aguri driver Sakon Yamamoto to graduate to Formula 1 via Japan’s top open-wheel championship and compete in a Formula 1 Grand Prix. Yamamoto’s appointment was eight long years ago, and with the creation of GP2, GP3, and the Formula Renault 3.5 Series, Super Formula has become, until recently, completely redundant as a feeder series to Formula 1, when it had seen its alumni reach the pinnacle of F1 success as recently as July 6th, 2003 – the day of Ralf Schumacher’s 6th and final F1 victory in Magny-Cours. 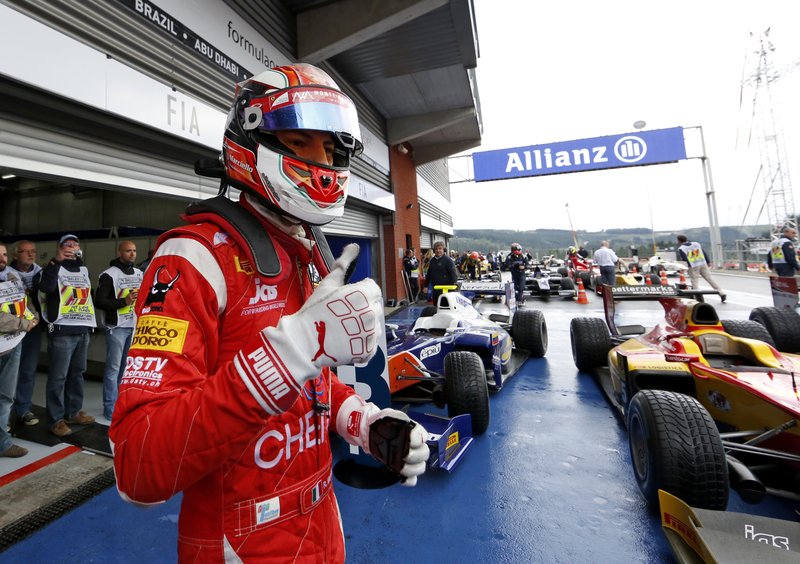 When they were still in the sport, Toyota groomed F1 hopefuls such as Kamui Kobayashi, Kohei Hirate, and Keisuke Kunimoto in the European ladder rather than in Japan. Takuma Sato, a dedicated Honda driver, only spent a year in the Japanese Formula 3 series before moving to Europe, and eventually winning the British Formula 3 Championship in 2001.